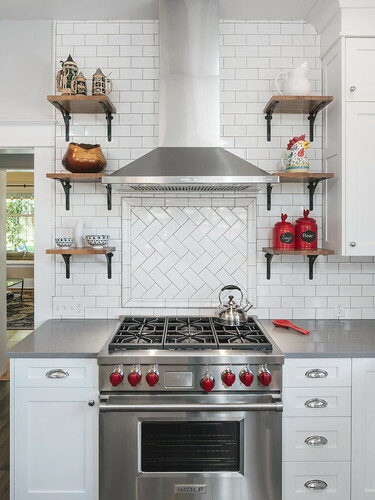 A historic kitchen isn’t usually equipped to meet the needs of modern families. 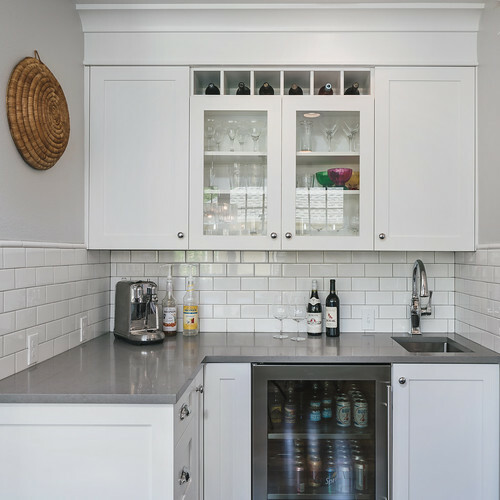 Without soft-close drawers, granite countertops or the space to store a dozen appliances, these antiquated spaces provide more hassle than convenience. 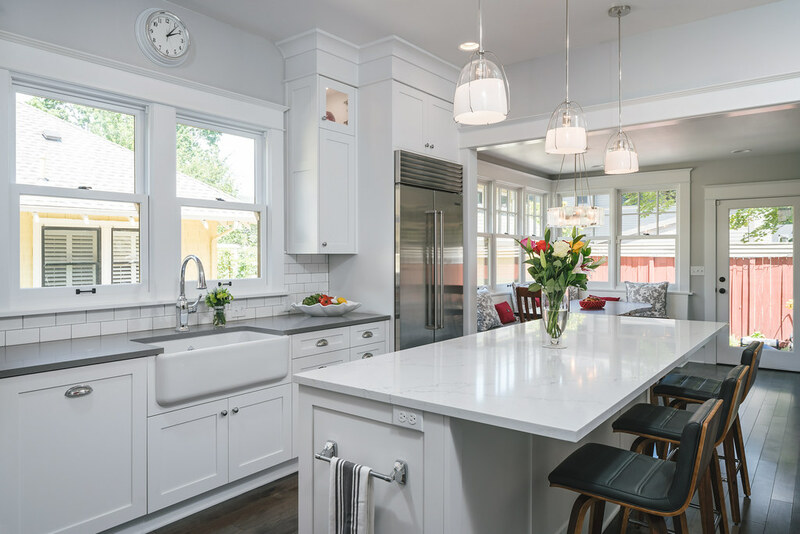 This 1920s Irvington kitchen was no exception, until the homeowners and Neil Kelly Design Consultant Barbara Miller transformed the space. In order to transform this pocket-sized kitchen into a family gathering space, they had to get creative, using the existing kitchen, dining area and enclosed porch. 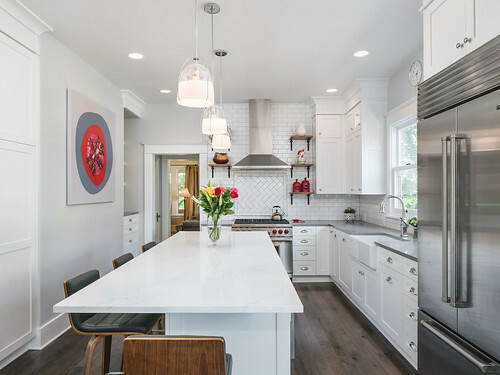 The process was further complicated as the home required a Historic Review due to its age and location. 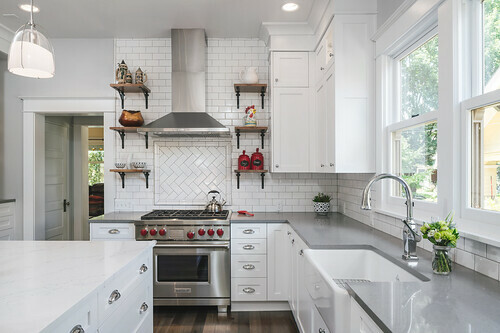 Once the layout was approved, the details started to fall into place. Miller says the key to designing a modern kitchen in a historic home is seamlessly blending period-specific elements — like subway tiles and reclaimed wood — that maintain the room’s charm without compromising modern conveniences. Custom windows were designed to match the original windows, and the original kitchen area was transformed into a fully-functioning breakfast bar, with a twist. The breakfast bar now stores all the fixings the clients need to prep meals for their kids. When company comes over, they can convert it into a full-service bar. The granite-top island is the heart of the kitchen. 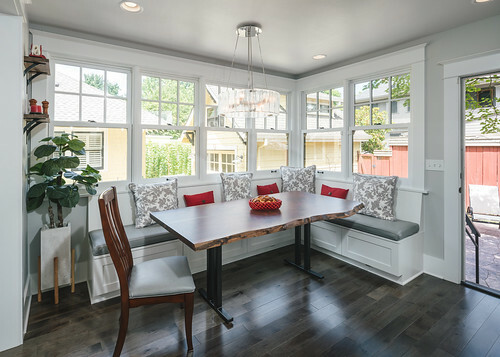 It serves as both a prep station and the perfect gathering space with chairs. 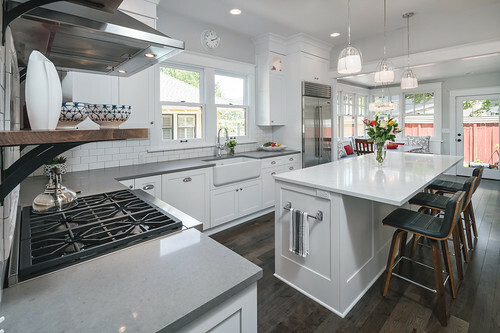 Underneath, the island offers near limitless storage for appliances. 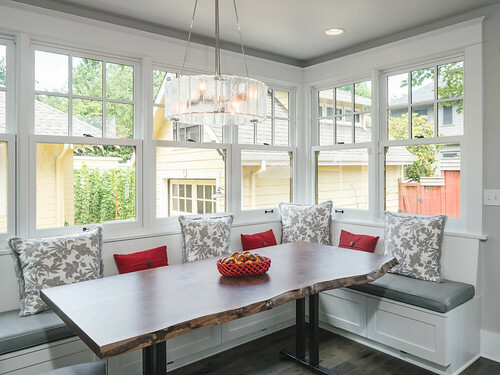 The most functional element of the kitchen is also the most loved by the clients — the dining banquette. 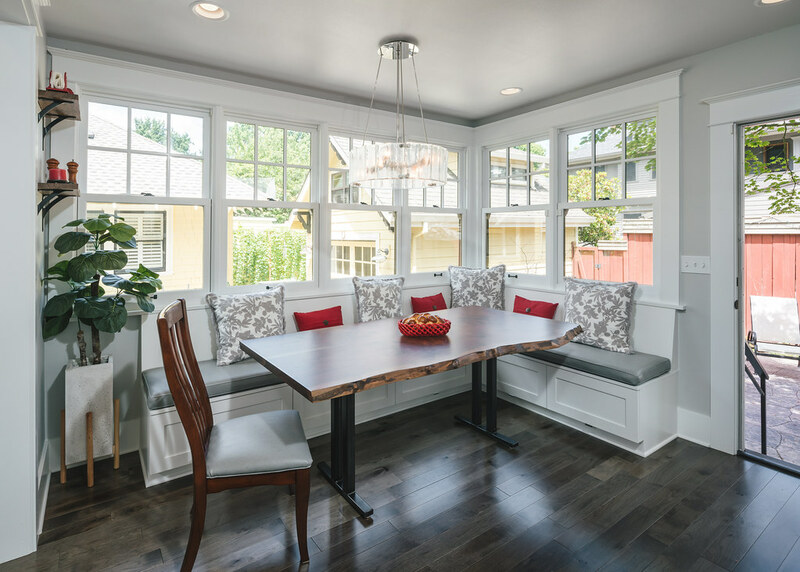 This beautiful space features a custom bench with storage, custom period-specific windows and a reclaimed walnut tabletop. It’s the perfect place for the family to eat a cozy meal or host friends for dinner. Ready to transform your space into the kitchen of your dreams? Get in touch with Neil Kelly today. From her first day at Neil Kelly, it was clear Barbara Miller would bring a lot to the design table. 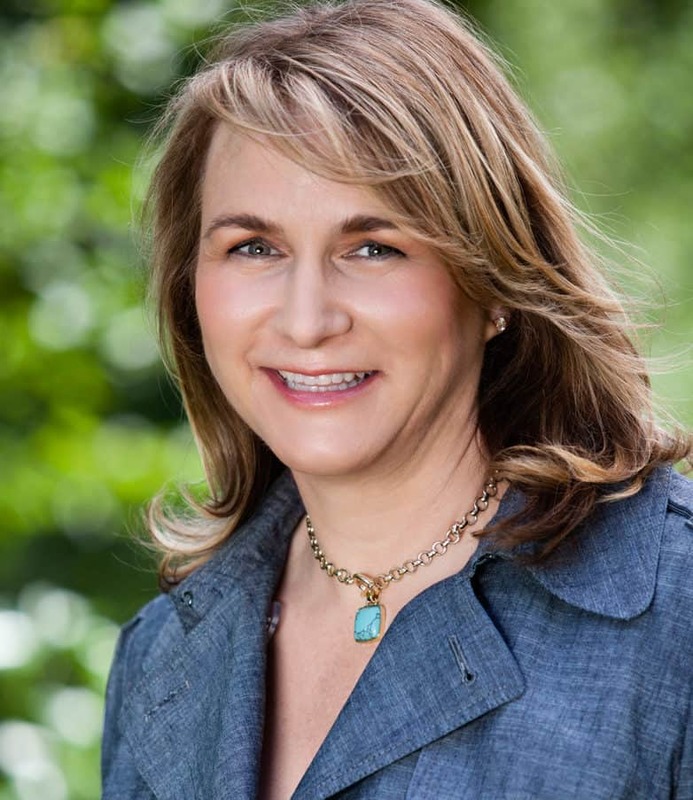 A recognized expert on the psychology behind interior design (and CAPS certified by the American Society of Interior Designers), Barbara has an ideal background to manage Neil Kelly teams and strengthen our approach to design/build remodeling. 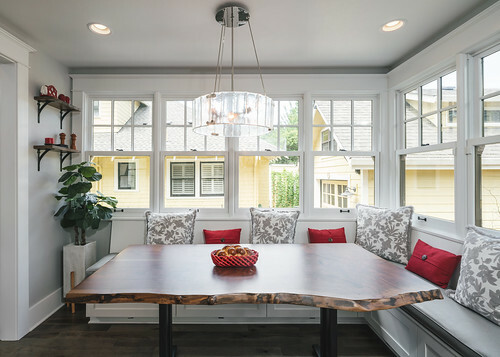 Not only has she been featured in Dwell and Design and This Old House, she is passionate about her work. 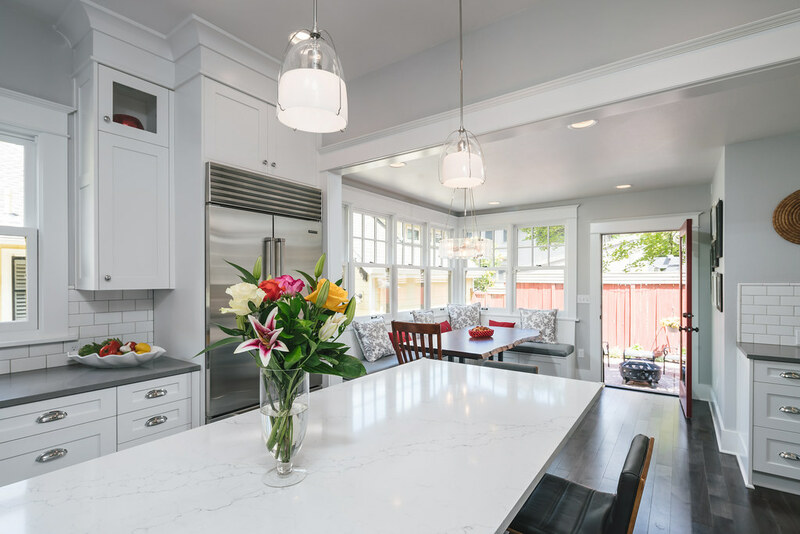 Quick to inspire others, she loves nothing more than helping families create the kind of functional living spaces that radiate beauty.